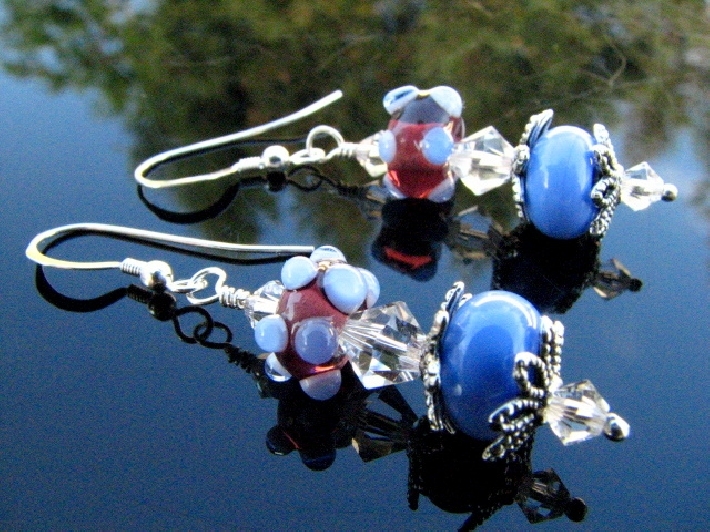 Lady Faith Jewelry is a retired school teacher who has time now to do anything craft. 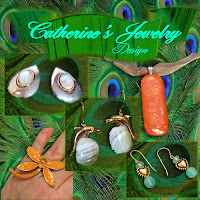 She makes some fun jewelry and sells it on Handmade Artist Shop. Her jewelry is one of a kind and I know something you won't find anywhere else. 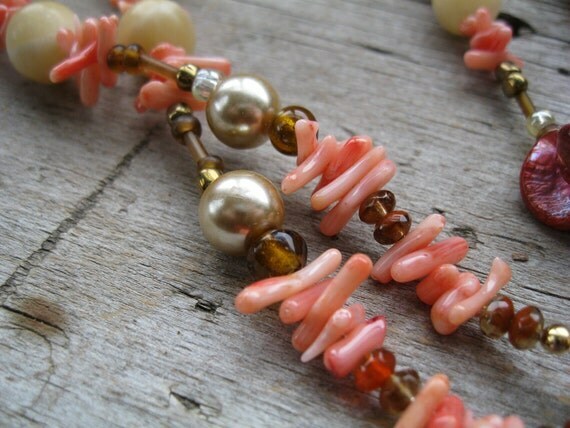 She uses all sorts of materials to make her "fun jewelry for the modern woman" as she puts it. 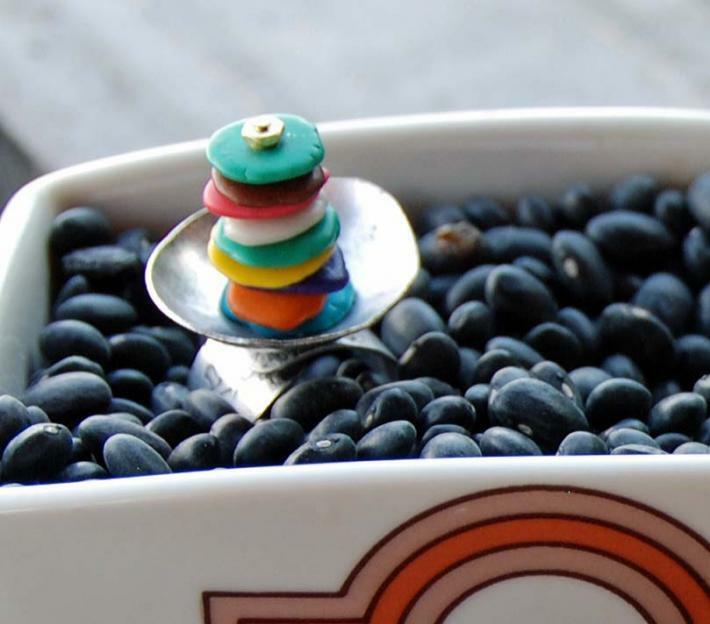 I particularly like her stacked candy and the propeller rings because they are fun! Are you a world traveler? 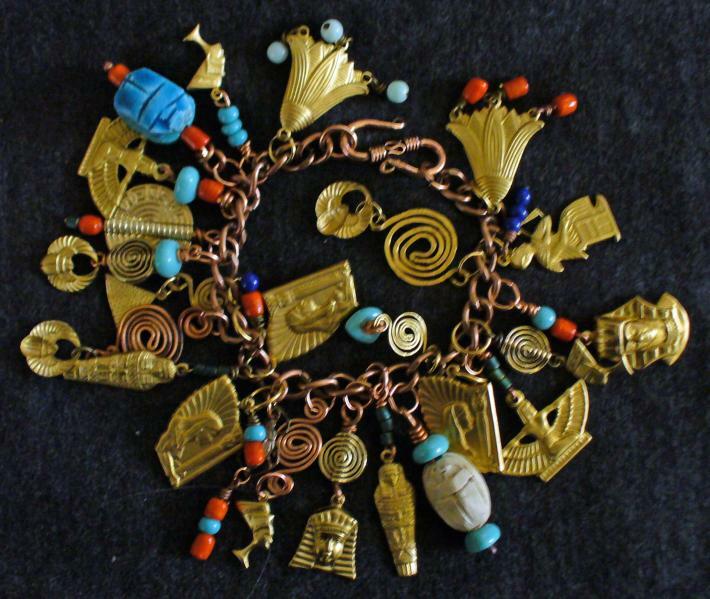 The Mystery of Egypt bracelet is fabulous! Lady Faith also has a blog that she maintains and talks about featured artists and her other random musings such as family stories. If you have a Miniature Dachshund, Papillion, or a Scrufalu send her a note, I bet she'll be happy to share stories. The Handmade Artist Shop makes shopping a bit easier with Highlights. 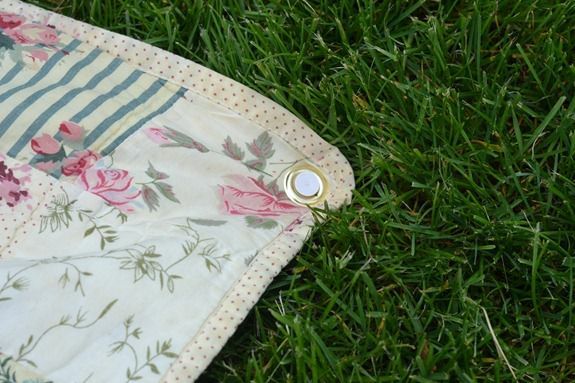 These handmade collections of handmade artisan goods are featured all in one spot. Buyers create Highlights based on themes or whatever suits their fancy. Got someone to buy for who loves anything blue? 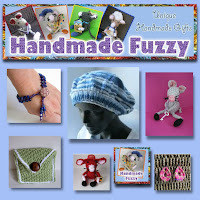 Check out the Highlights pages within Handmade Artist Shop. 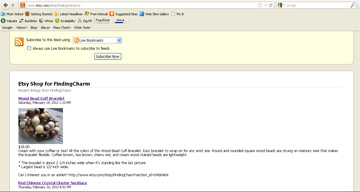 You can search by category, seller, or perform an advanced search to find your Blue item. I was feeling nostalgic this evening and picked the color peach. It was the color of my room growing up. I felt so grown up with such a sophisticated peach room in the late 80s through the 90s. Tell me what you think of Highlights. 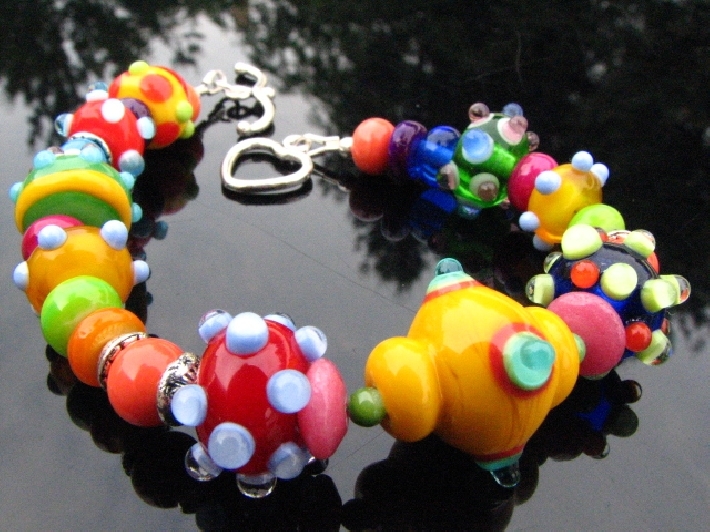 Brooklyn Bead Goddess makes beautiful lampwork beads and then makes jewelry from her beads. I love lampwork beads and they force me to touch every single one of them inspecting their beauty when I see them. 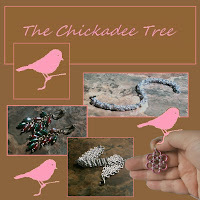 I did not know much about how they are made until I visited Brooklyn Bead Goddess's website. I learned so much and she has photos of her making a bead. Such a craft to work with hot flames and glass. I have even more admiration for the art now. It's more than a craft, it's art. Bead Goddess was raised in Brooklyn and believes living in the NYC area gives her an edge separating her from other lampwork artisans. I think she may be right. A fashion mecca, she gets to see fashion before all of us do and her beads are designed to make a statement. So all you jewelry makers out there who haven't worked with lampwork beads should consider looking at Brooklyn Bead Goddess's collection and to purchase some lampwork beads to make your own wearable art for yourself or to share. You can find Brooklyn Bead Goddess all over the Internet. I've thrown my hat into the sale ring. My first ever sale! I'm offering 20% off everything in my Etsy and Artfire shops November 23-26. My Artfire shop will automatically deduct the 20% off. Enjoy and help me clear my stock! 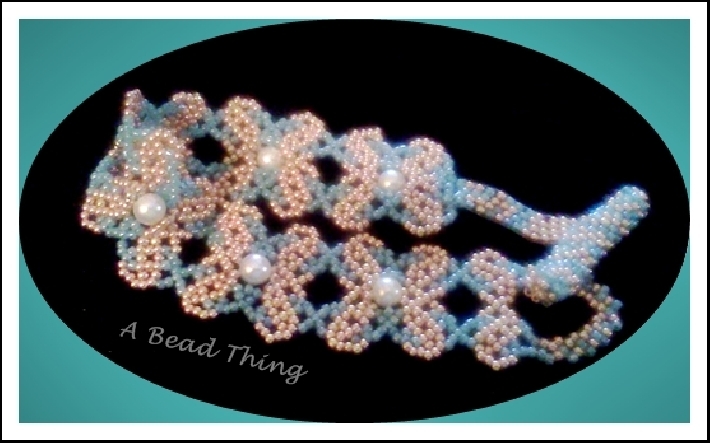 A Bead Thing is a fellow jewelry artisan, also known as Pam, at Handmade Artist. 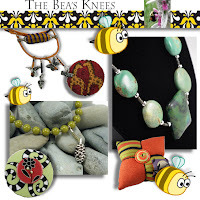 She particularly enjoys bead woven jewelry - an art I admire. She too makes affordable jewelry so everyone can indulge in something shiny. Jewelry was a saving grace for Pam. Utilizing her creative outlet allowed her to pull herself back up by the bootstraps and never look back. 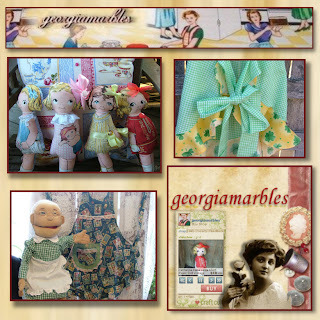 Read about her story and browse through her shop. 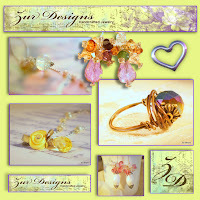 I belong to a handmade artist community called Handmade Artist Forum (HAF). We're a close knit community who show more support for one another unlike any other group I belong to. I know I can count on this group for anything selling and making handmade. You will not find resellers on HAS or HAF. It is committed to handmade items only. Their mission - support handmade. Anyone can join and participate in the HAF - it's free! 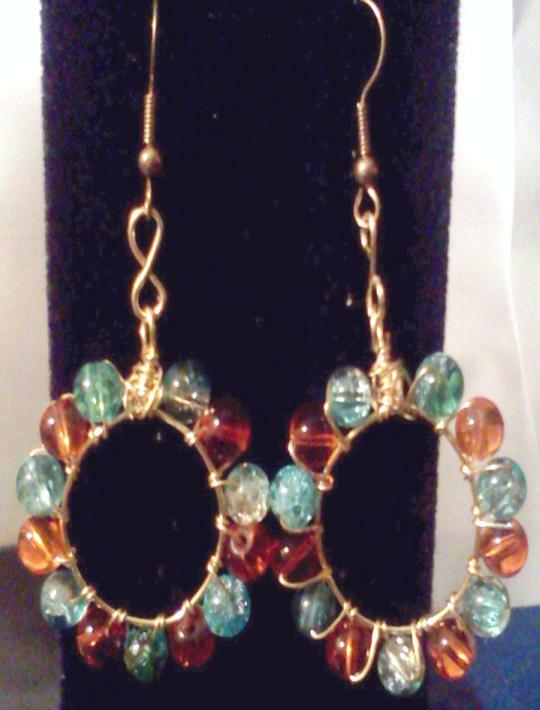 I post my newest creations there for other members to comment on. 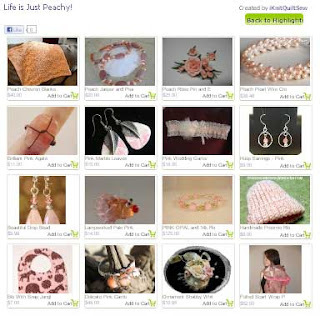 There are categories specific to jewelry, crochet, and more. The HAF also has a variety of "rings" to participate in such as: Facebook, Twitter, and Blogging. They're lead by fellow members who are devoted to making each one a success. They're all well run and participated in. I look forward to the "rings". You will not be disappointed once you hop on over to the HAF. 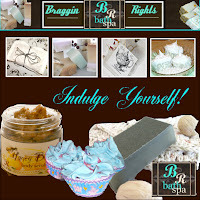 You'll want to become a member and join the community to share and promote the love of handmade. Before I forget - The Handmade Artist Shop (HAS) evolved from the forum. It is a storefront to sell handmade items. Check that out too. Small monthly fee to list and sell. I am a German feeling at home in the US. To fight the homesickness that sometimes sneaks up on me I use my crafts as an outlet.I knit, crochet and sew. All of my things are one of a kind. I love to try out new things. Go have a look and find something you like !! All of my products are unique, one of a kind. This week's Featured Artisan is Teresa Anderson Rusk - T.Rusk4u. I subscribe to Copyblogger, an online marketing resource for Wordpress. You do not need a Wordpress blog platform, to benefit from their valuable information. Most of their content is general online marketing tips. Recently, they published a helpful 56 Ways to Market Your Business on Pinterest. I wanted to share this information with my readers as more and more of us are becoming, self-admitted Pinterest Addicts. I made sure I read through these 56 tips. I have had sales from my pinning my own creations. Some of my items had been sold after I pinned them, but because of the pins, I have had several requests for custom orders. So I do believe in the potential Pinterest has to offer for the handmade community. I've never had that kind of interest come from other social media. I have a wide variety of followers that are not necessarily in the handmade market, which I think is key! Pinterest has nearly five million users. Go ahead, I encourage you to read through these 56 Ways to Market Your Business on Pinterest no matter where you are in the Pinterest stage. Etsy Shop RSS Feeds Gone - Did You Notice? I discovered a couple of weeks ago, that the Etsy shop RSS feed buttons are gone from shops. Did you notice this? I depend on the RSS feeds to help promote fellow artisans through Twitter and Facebook. Have no fear, the RSS feed isn't gone! I figured out a simple way to still subscribe to a shop's RSS feeds. All you need to do is go to a shop, and add "/rss" (do not use the quotes) in the address bar to the end of the shop address as pictured below. The screen will do a quick flash, and ta da... an RSS feed page loads and will look similar to the image below. 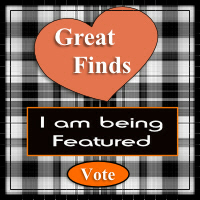 I can't believe I was chosen again for Great Finds. Perfect timing since this is my birthday weekend. I came so close a few weeks ago and lost by 1 vote. It would be awesome if I can get my pals to try again. To win would mean a lot especially since I've come second every time! I would like for that to change. Can you help me out? One vote is all I need. No voting multiple times. 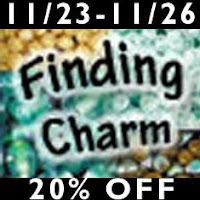 Visit the Great Finds page, scroll down until you see a white box and vote for Finding Charm! Vote now until next Friday morning. 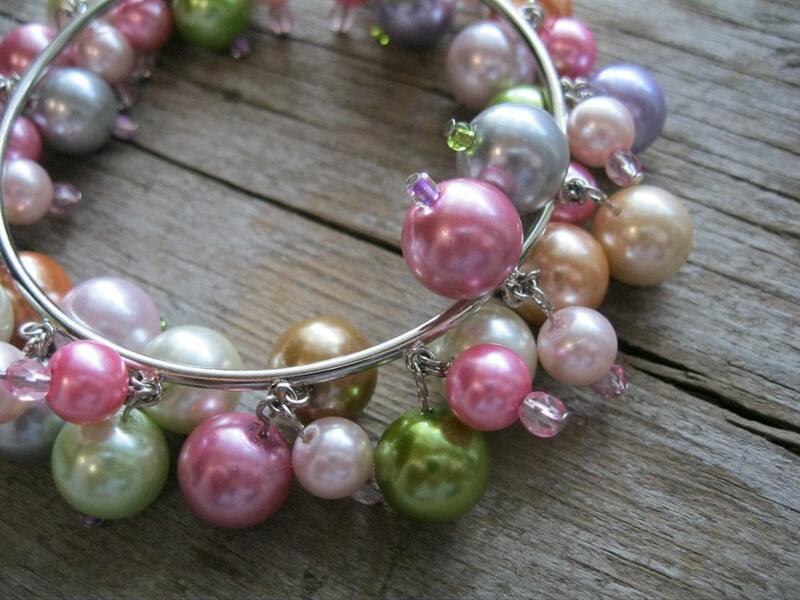 The theme is Waiting for Spring and I thought this bracelet was perfect. 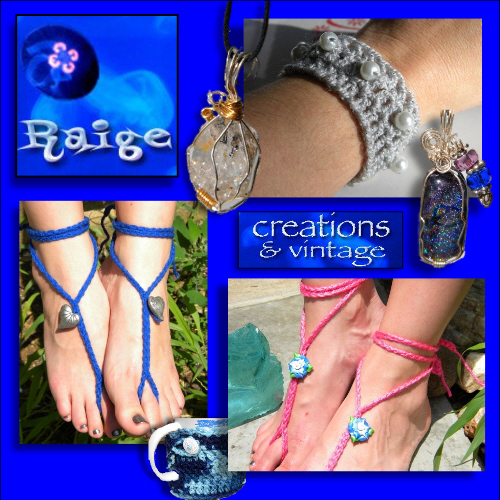 This Week's Featured Artisan is Rebecca Raige - Raige Creations! 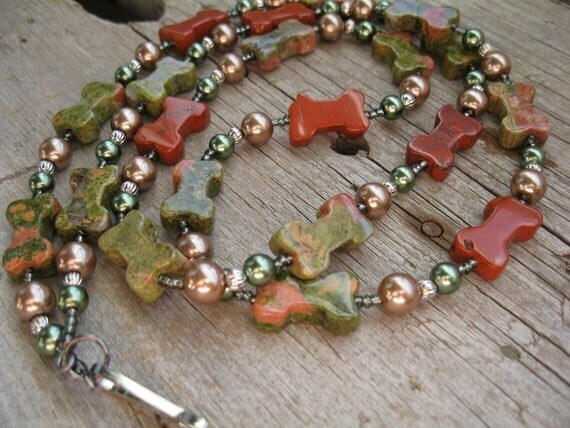 I made a dog bone lanyard a few months back. I picked up the beads at a bead show on a whim about a year ago. I sold the lanyard in December which turned out to be a gift. My customer contacted me on Monday for another one. Low and behold, I get another request from someone else today for the exact same lanyard. So I'm desperately looking for these beads. Colors don't matter, just the beads. I've search high and low with every keyword imaginable and still nothing. The bead show is coming back in March and she's willing to wait. I explained how I got the beads, and I may not be able to get them. I had no idea that this lanyard would be so popular. I made a bracelet with the few I had left over, but not enough for a lanyard. The beads I used were Unakite and I was told Jasper for the brick red. If anyone can help me track down these beads, I would be so appreciative. I was scrolling through my list of posts seeing some that I started or made notes to follow back up on to write a full blog post. I wanted to get all the "drafts" lined up and written. I found a blog post (buried) that I thought had posted before Christmas! It was my weekly round up of Etsy Treasuries and Artfire Collections I was featured in and always like to pass them on as my way of paying it forward. So please excuse the lateness of some of these Collections and Treasuries and the chance that my piece in them could be expired. Regardless, the point is to thank that person for taking the time and seeking my piece out. Some of these are holiday themed, but might be up your alley if you're not quite done with the Christmas spirit. 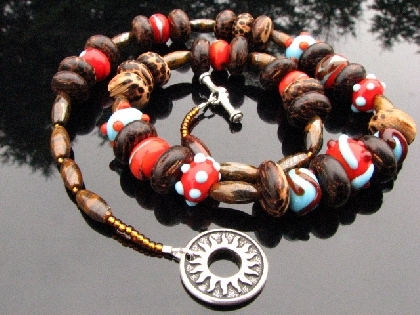 * Lone Alaskan Gypsy featured my Brown Jade Bracelet on her blog. She added this to her Christmas list. 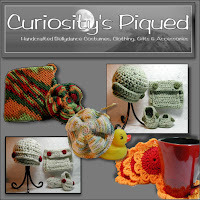 Lone Alaskan Gypsy also has a shop on Etsy and she has a great holiday promotion right now. All of her proceeds until Christmas goes to supply gifts to underprivileged children. Our local news station recently did an alarming story regarding Smartphones and pictures you take with it. Did you know that those photos are tagged with location information? This is done via the GPS that is on your phone. Don't worry...there's a way to stop it. Watch this informative story that could save your life or the life of someone you know - shorter than 4 minutes. I would love to see "bad" people turn their negative energy into something more positive. Imagine the power that would be. yourself in! 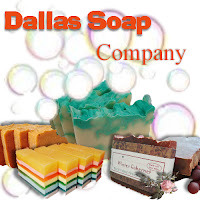 Spoil yourself rotten... visit Dallas Soap Company! Please Vote for Me! 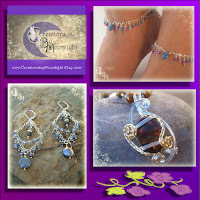 I'm Featured on Great Finds! Click on the button above! The poll is on the left side of the page, at the bottom. Here is a list of all the goodies I can get. I've never won before!